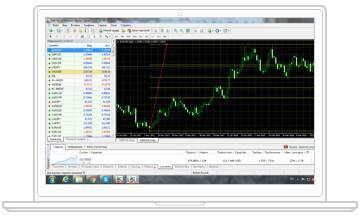 MT4 WebTrader is the Web version of the popular MetaTrader 4 Trading Platform. There is no need to download and install Meta Trader 4 or other additional trading software on your computer. MT4 WebTrader works on any web browser & supports all operating systems. All you need is an Internet connection to start using MT4 WebTrader. Now you can trade on the web and use the practicality of MT4 in a couple of easy clicks. NO Download. NO Specific OS. Overall view of the workspace, control panels and charts fully corresponds to the general MT4 platform for PC. In future versions of the web platform the possibility of building main indicators for technical analysis and other useful functions will be added.